Accidental damage—Accidents happen. In fact, they are the most common reason for home insurance claims. Accidental damage is often sold as an additional feature on a home insurance policy and is a useful feature to have! Although avoiding accidents isn’t always possible, you can take small steps to improve your chances. Children and pets are the most common causes of accidental damage so child- and pet-proofing areas near valuable items is a good idea. DIY is also a common cause of these claims so, before undertaking a large project, make sure you know what you are doing or consult a qualified professional. Water problems—The next most common reason for home insurance claims is “escape of water”, which is when water leaks from your pipes or tanks. These claims tend to rise during cold months. Here are 5 things you can do to prevent leaks (Source: Water UK) 1. Insulate your water tanks and ensure your pipes are lagged. 2. Fix dripping taps 3. Find your internal stopcock or valve and ensure you know how to turn it off 4. Check your boiler has been serviced 4. If your tanks or pipes are in the roof, open the loft hatch in cold weather to allow some warm air up there. Storm damage—If a storm is forecast, check your drains and gutters to make sure they are clear and won’t gather water. Storm winds can loosen roof tiles and heavy rain can cause damage to outside walls if drains and gutters are not kept clear. Also, be sure to lock away any valuable items left outside, put garden furniture and trampolines away (or at least secure them), and make sure your fences or gates aren’t loose. Theft—Although the number of home burglaries have decreased over the years, you can still be unlucky. Take precautions by installing home security measures, such as motion sensor lights or technology you can access via your mobile phone. These can also help keep the cost of your home insurance down. Frozen food—The foods sitting in your freezer can lead to a costly bill in the event of a lengthy power outage or broken freezer. 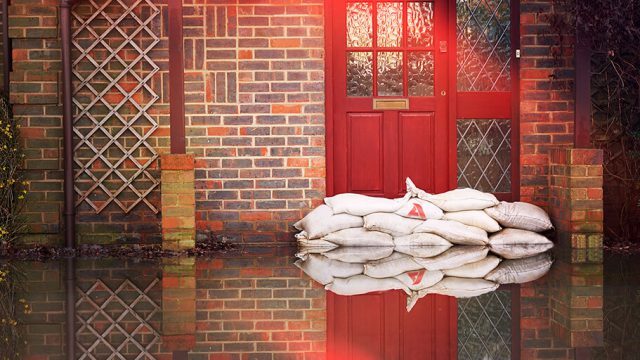 Thankfully, most home insurance policies offer protection if this should happen (although it is worth double checking this with your insurance provider). Reduce your risk by regularly clearing out any unwanted or out of date items. For further information and to discuss your home insurance cover, please speak to one of our local insurance experts on a high street near you. ← Can smart technology help your business?